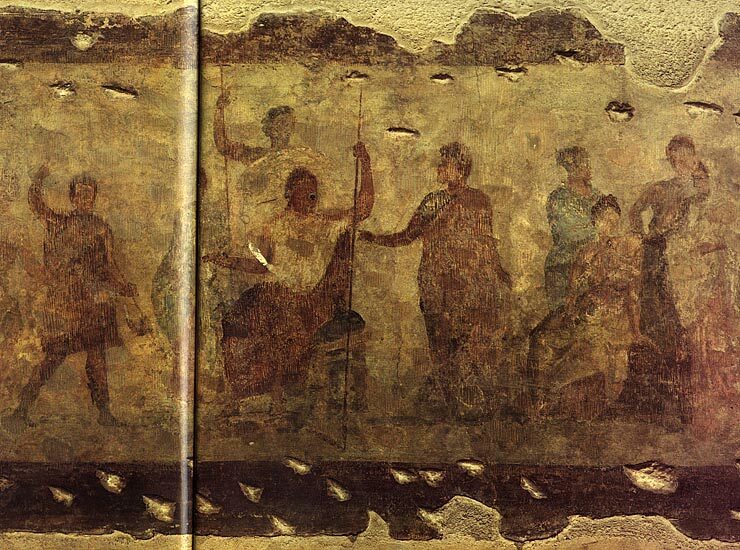 Fresco from the tomb of a libertine of Statilius Taurus. Scene from the cycle about Aeneas. © Photo, text: GIOVANNI D’ANNA “LEGGENDE E TRADIZIONI DELL’ANTICA ROMA”, ARCHEO, N. 31, p. 64—65.